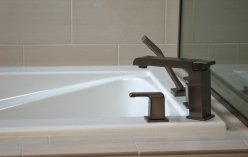 This guest bath remodel was built by Done to Spec and designed by Zemek Designs. 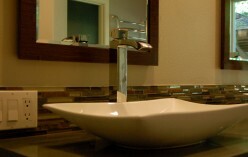 The material and color choices are very complementary, making the bathroom feel like a 5-star hotel. 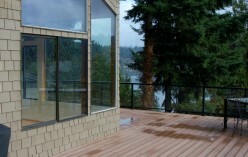 These clients in the Trossach’s neighborhood of Sammamish already had a fantastic outdoor living space. The only thing that was missing was a hot tub. 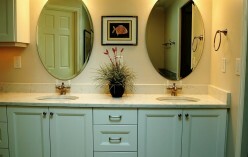 The owners of this 1980’s home in Issaquah, on the Sammamish Plateau, recently moved in and one of their first priorities was to perform a master bath remodel. 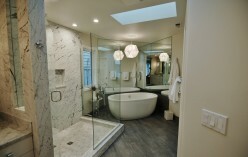 Done to Spec recently completed this master bath remodel in a Buchan home located on Union Hill in Redmond. 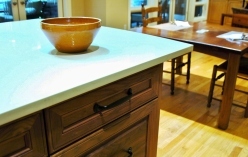 The homeowners started the project by working with a designer, who helped identify colors, materials and fixtures. 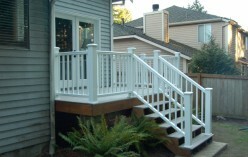 This custom home in Kirkland was in need of deck repairs, so the homeowner decided to upgrade to a composite deck. 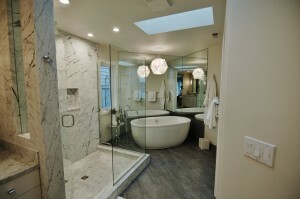 Done to Spec completed this custom master bath remodel in June 2014 on the Plateau in Sammamish. The homeowners used Done to Spec for their laundry room remodel and balcony repair before having them remodel the master bath. 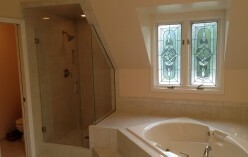 Done to Spec’s latest project was a shower and bath remodel to a 1989 home on Union Hill in Redmond. Done to Spec performed a townhome remodel on this three-story unit in Redmond near the Sammamish River. The project involved the kitchen, all three bathrooms, new flooring on the main floor and new paint in the main living spaces. 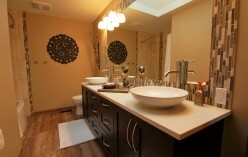 Done to Spec performed updates to all three bathrooms in this home in the Klahanie neighborhood of Issaquah. The master bathroom remodel was the most extensive, in part due to the dry rot found in the exterior wall of the old shower. 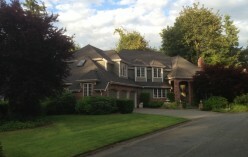 This large home on Lake Sammamish had extensive water intrusion on three different areas of the house. 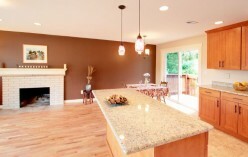 The owner was preparing the house to sell when the inspector uncovered the potential issues. 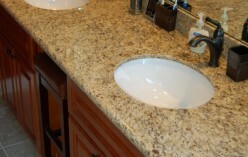 The homeowners of this property in Sammamish had already remodeled most of their home before using Done to Spec to update their main and master bathrooms. Done to Spec was hired to address a number of home repairs as part of the sale agreement. The main issue involved rot around the deck and breakfast nook as a result of poor flashing. It was discovered that water had penetrated the exterior envelope. 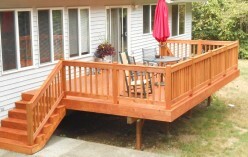 What better way to enjoy your backyard than from a new cedar deck! 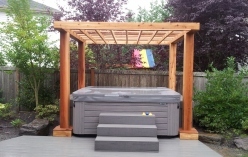 Cedar is a great material to use in the Pacific Northwest. 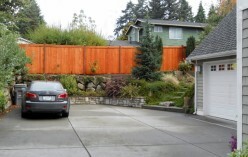 The owners of this Kirkland property wanted to improve the privacy between them and their uphill neighbors by installing a cedar fence. 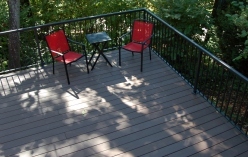 Now’s the time to get your deck in shape for the summer. 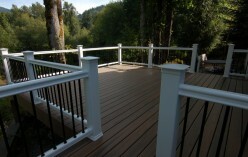 This composite deck in the Klahanie neighborhood was built using Trex and Timber Tech products. 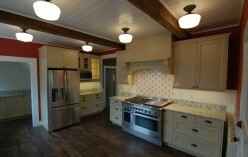 Prior to listing this Bellevue property, the homeowner decided to do a full home renovation. 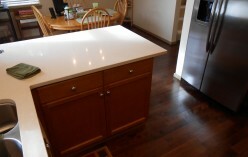 Done to Spec helped him design the improvements while staying within budget. The home sold within days of going on the market and well above the asking price. This home on Mercer Island had a great patio area with the exception of a deteriorating fence, inadequate lighting and broken hot tub. Done to Spec removed the hot tub, built a new cedar fence and added exterior lighting. 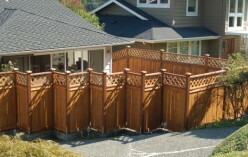 The fence was stained to darken the cedar and to extend it’s life. 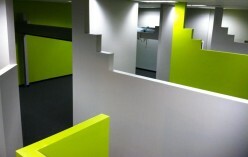 This fitness studio in Issaquah moved into a larger space allowing them to create separate workout rooms. 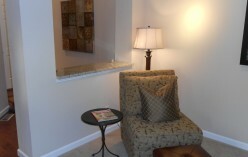 They contacted Done to Spec to perform the tenant improvements. Done to Spec erected the new walls and installed industrial rollup doors, so spaces could be separated when needed. The owners of this home decided to convert their spa into a bedroom to help attract more buyers when they put it on the market. 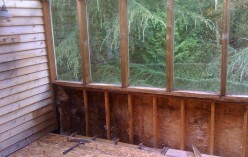 Shortly into the addition project, significant rot was discovered below the single pane windows. The scope grew significantly. 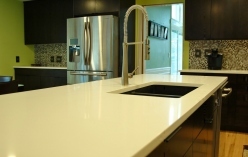 How Can Repairs and Remodels Help Sell Your Home?